Personal preference comes into play when talked about different grades badger hair. I introduce this bulb shaped tow band badger hair knot to you. This type has a two band appearance--the upper part is white and the bottom part is black. 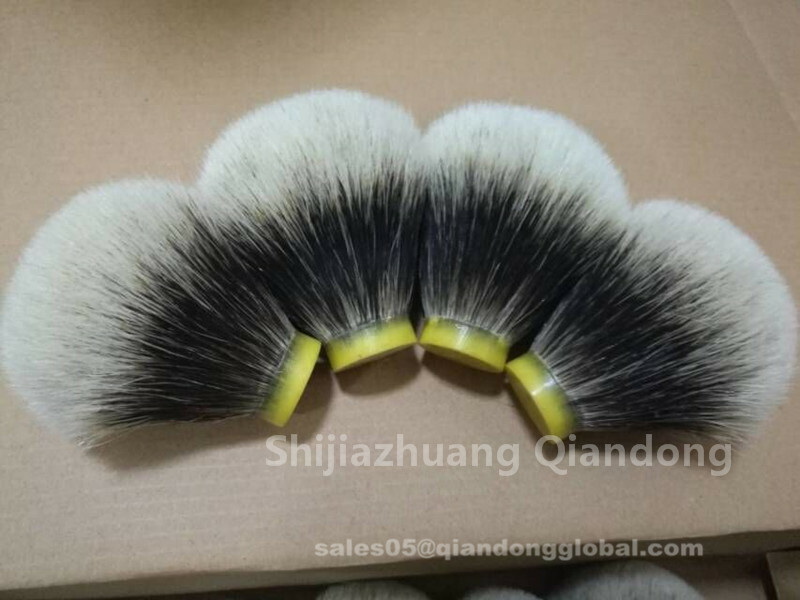 With soft tips that give the user silky smooth feel. 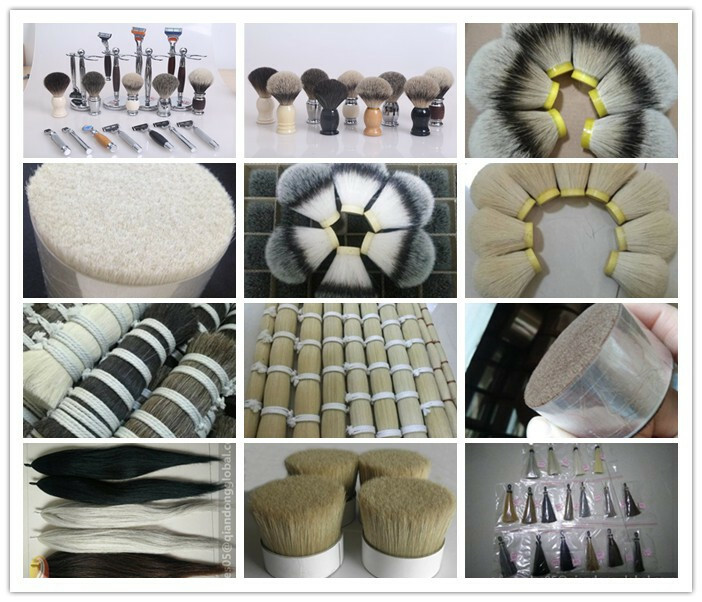 Because the hair is so fine that it can splay easily, and give you a comfortable, cloud like feeling. 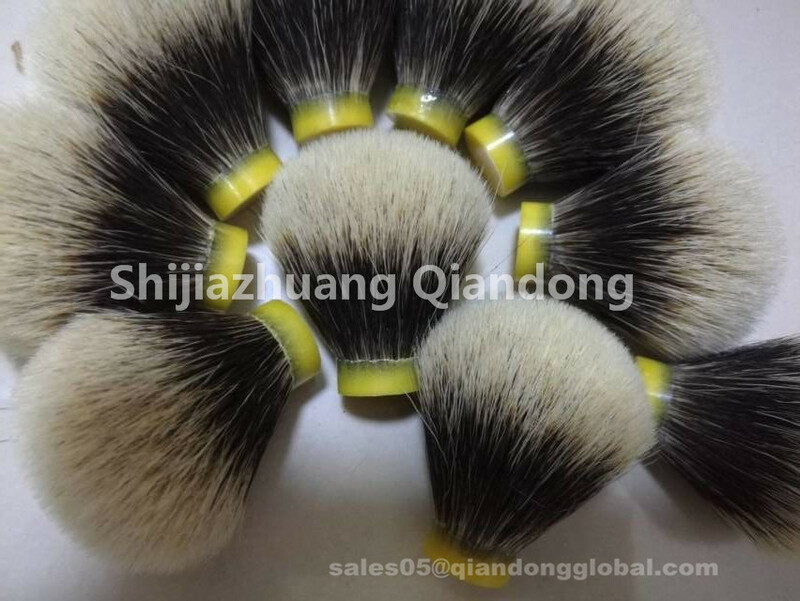 This type two band badger hair knot is bulb shape, that is different from fan shape. 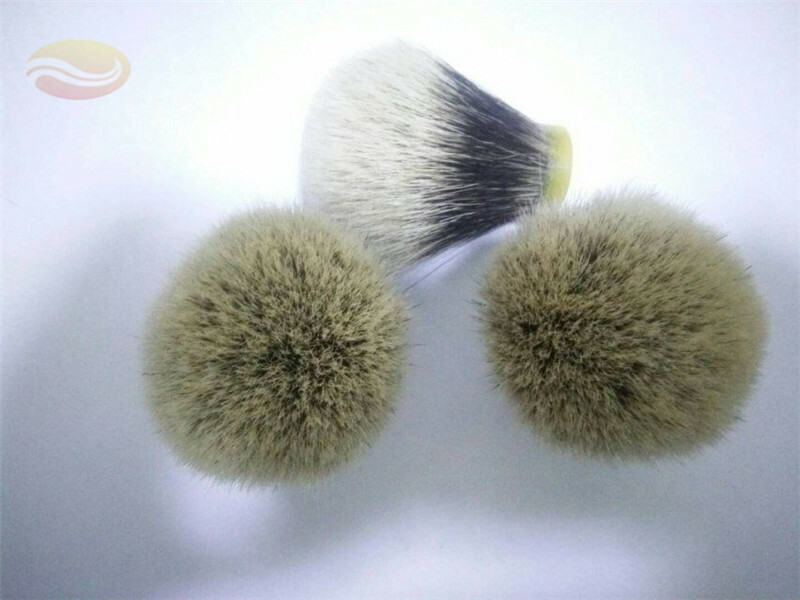 Different shapes of shaving brush knots give users different shaving experience. 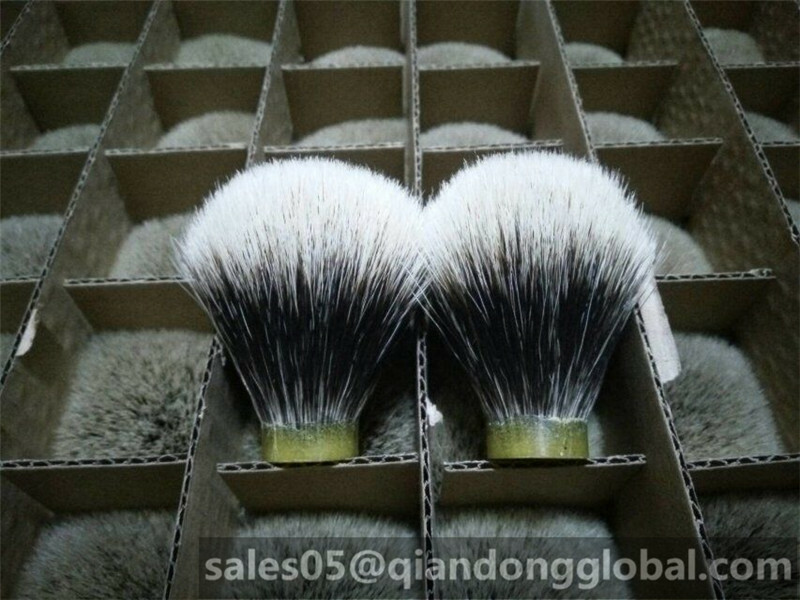 What is bulb shape shaving brush knot? That is to say the knot apperance looks like a bulb. The bulb shape knot has a round knot head, which results from the shorter hair around the knot. Bulb shape brushes offer more control than fan shaped brushes this might be the best option for beginner shavers.